The highly-anticipated edition of the LeBron X EXT is about to hit the market today and this will surely make a lot of waves not only because of its awesome appearance, but also because of the surprising price. 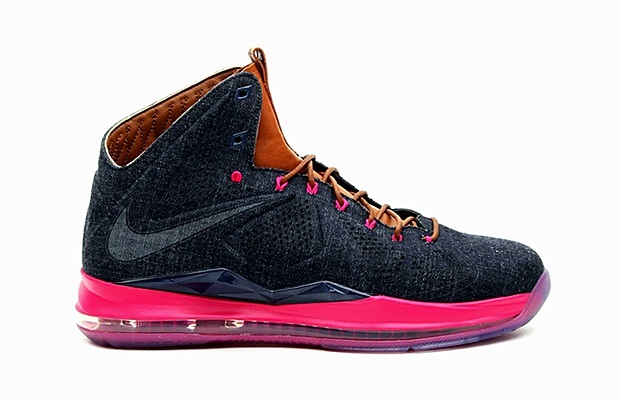 The Nike LeBron X EXT “Denim”, which is officially listed as the Midnight Navy/Midnight Navy-Hazelnut-Fireberry colorway of the shoe model will come out today, June 22nd and will retail for just $180. The price is quite surprising because we were expecting a much higher retail price, but Nike opted to get it within the base price of the LeBron X model. Are you planning to get this shoe today? Tell us your thoughts!